Samsung took its time getting a Qi charger out the door, but they were finally available for purchase a few weeks ago. At $49.99 it was a reasonably good deal as far as wireless chargers go, but it didn’t come with a wall charger to power the device. Now the Samsung Wireless Charging Pad includes the recommended 2A charger for $10 more, but that’s not the best deal as it turns out. 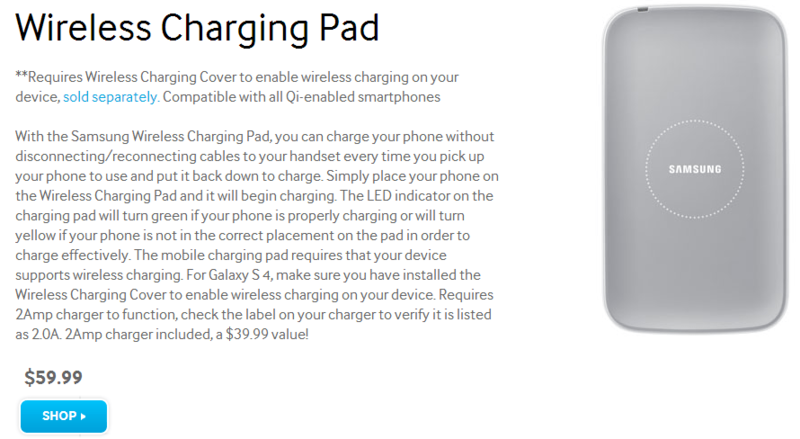 Samsung lists the charger separately for $39.99, which is insane. So by that bizarre measure, this is a good deal. However, we’ve tried using this Qi device with a 1A charger and it was fine. Not to mention there are plenty of other 2A wall chargers that don’t cost $40. But $10 isn’t that bad, right? Well, it also blocks a really great coupon code. 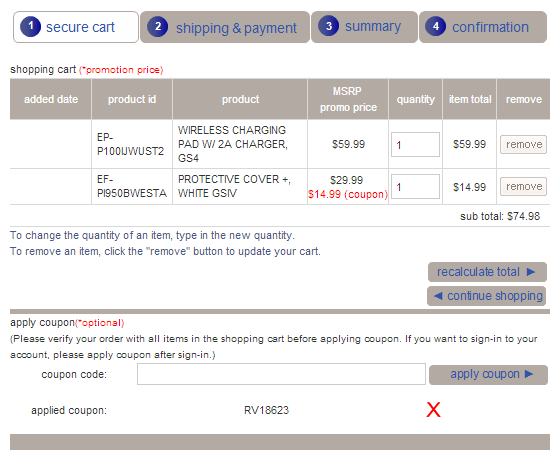 Previously, buyers could use a 50% off Samsung accessory coupon to get the wireless charger for $25. That code only works on accessories priced under $50, which no longer includes the Wireless Charging Pad. In the screen above I added a cheaper accessory and the Qi charger. The coupon code was only applied to the cheap case. Maybe Samsung was selling too many wireless chargers at half price. They certainly fixed that problem.